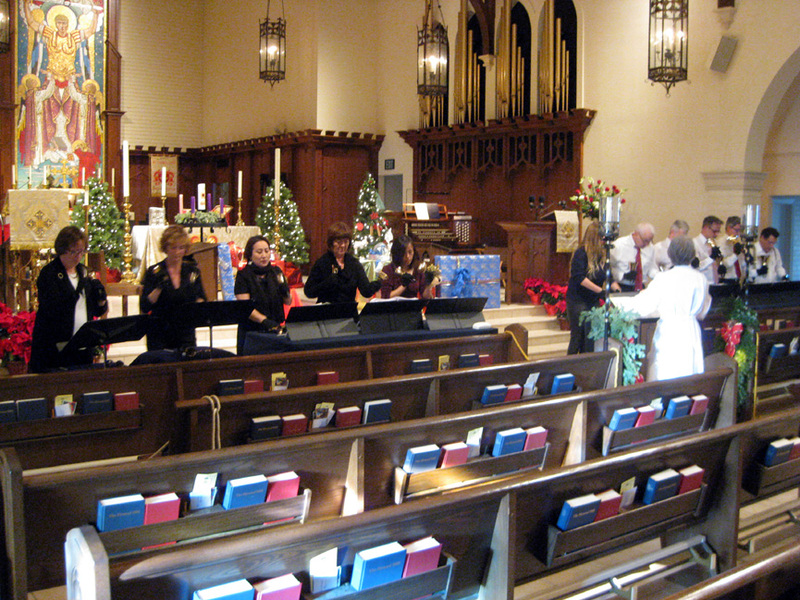 Our Handbell Choir performs at the Christmas Eve and Easter Liturgies, as well as other select occasions during the church year. Our 3 octaves of handbells have recently been refurbished, and in 2014, a new 4th octave was added, bringing new life to this ministry. See Rob Hovencamp, our music director about participation.